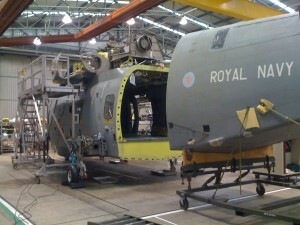 First I would like to update you with the progress we have had with the Merlin. It was very satisfying working on this project, even if it was only for 2 weeks. On completion of our first week we had managed to completely rebuild the undercarriage and successfully lower it off jacks. We were given 2 weeks for this to happen so we came in a week ahead of schedule. These are a few photos of how the cab is looking now. 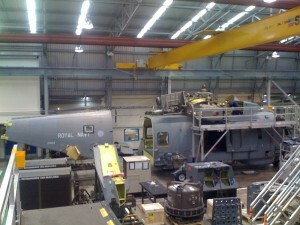 This week the main gearbox has been removed and the Tail cone is in the process of going on. I’m a little disappointed that I wont get to see the finished product, but I wish all the guys that are still there the best of luck and hope things work out. I was told last Tuesday that I would be going away with 820; I couldn’t have been more excited. I have a lot of good friends on the squadron and to be able to go away with them on this kind of adventure means a great deal. Although I know there will be some bad times on board, I know that there will be some amazing times too, weather its on ship joking around or along side in one of the awesome stops we have planned I’m really glad to be with my Squadron. I’ve had a bit of a crazy week getting things organized to go, running around making last minute preparations and packing has been interesting, I just hope I have everything I need, unlike other trips I’ve been on where I end up taking loads of stuff I never use. Related to 820, Merlin, Ricky Fairlamb, Taurus.